Many thanks to Abrams ComicArts and Netgalley for providing me an advanced copy of The Best We Could Do. The Best We Could Do will be released on March 7, 2017 and I recommend picking it up especially if you enjoy graphic memoirs. Description: This beautifully illustrated and emotional story is an evocative memoir about the search for a better future and a longing for the past. Exploring the anguish of immigration and the lasting effects that displacement has on a child and her family, Bui documents the story of her family’s daring escape after the fall of South Vietnam in the 1970s, and the difficulties they faced building new lives for themselves. At the heart of Bui’s story is a universal struggle: While adjusting to life as a first-time mother, she ultimately discovers what it means to be a parent—the endless sacrifices, the unnoticed gestures, and the depths of unspoken love. Despite how impossible it seems to take on the simultaneous roles of both parent and child, Bui pushes through. With haunting, poetic writing and breathtaking art, she examines the strength of family, the importance of identity, and the meaning of home. 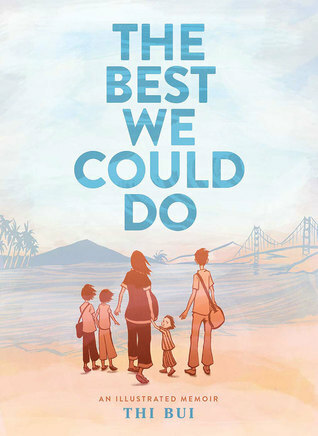 Review: The Best We Could Do is a thought provoking account of the author trying to come to terms with her own family history as she begins her journey of creating her own family. As a new mother, Bui starts to contemplate her parents' lives and what events led them to their current situation. She wonders why her relationship with her mother and father is distant and at times cold. The narrative then rewinds to the author's childhood in California and her desire to understand why her parents fled Vietnam in the 1970s. While this graphic memoir is not unique as an immigrant story/experience, I really admired how Bui created the path of three generations and then shared their own aspirations, expectations, and their realities while also presenting a firsthand glimpse into the history of Vietnam from the point of view of its dwellers. To be frank, I did not know much of Vietnam besides what I learned from school about the Vietnam War and the French occupation so I really enjoyed this aspect of the graphic memoir. I also really enjoyed making the connections and the author's own insight of her past and culture to her parent's behavior. There are no heroes and villains in this story, but full three dimensional people who suffered heartache, famine, and poverty among other things in order to find a better future for their children in a new country. The Best We Could Do is a nice addition to the growing number of immigrant stories being told and would make a great book club discussion book. Words of Caution: There are allusions to adultery, war violence, and genocide. 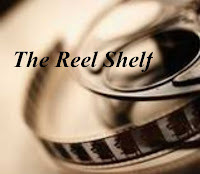 Due to the mature themes of the graphic novel I would recommended it for older teens and adults only. This sounds like a good read. I think it is especially important to read this in light of the current situation regarding immigration. I would love to see more books like this in book club discussions. I think there needs to be more of it. Brilly review and I'll have to check my library for it. This sounds really good and I had no idea about it so thanks for putting it on my radar! For some reason I'm not getting emails about your posts anymore, I have no idea why! I don't know too much about Vietnam either - and probably less than you because it's not a focus in Canadian history - so I'd be interested in reading this. Given the current political situation in the US right now this book sounds like a good one! This is the second positive review for this one I have read, which is always promising :) I've recently started getting into graphic memoirs more and I can really see myself appreciating this one. I really don't know that much about Vietnam either... so I would like to learn more, and I like that the topic is pretty relevant for the times.